Despite Microsoft’s best efforts to ensure that the Start button and menu remain dead, a bunch of third-party replacements have emerged. 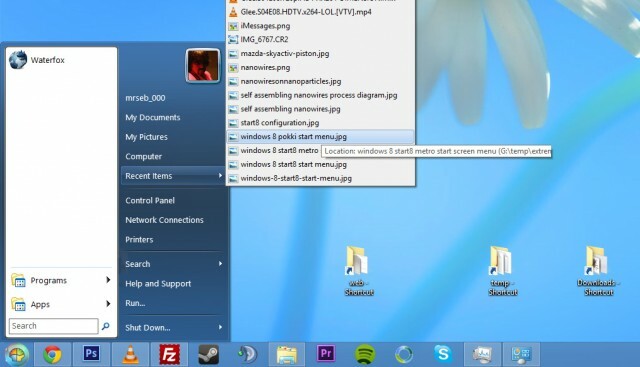 Really, it just goes to show how devoted the Desktop Windows user base is: Microsoft completely stripped out the underlying Start menu code to quash potential Luddite revolutionaries, and yet just weeks after the release of Windows 8 there are dozens of Start menu and Start button replacements. 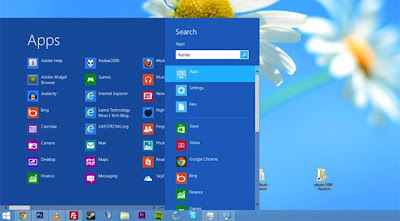 Let’s take a look at the best, cheapest, and most authentic apps for bringing back the Windows Start menu and button. Classic Shell is free, open-source donationware that gives you the option of a classic (Windows 98ish), Windows XP, or Vista/7 Start menu. 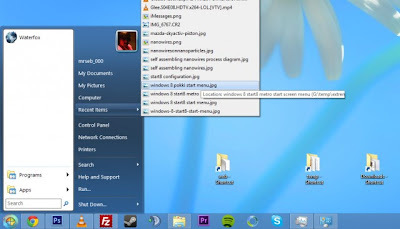 At its most basic, it puts a Start button back on your taskbar — but as always with third-party utilities, it has a ton of other features and settings that you can tweak to your heart’s content (in Classic Shell’s case, there’s probably too many tweakable settings). There is apparently an option for Classic Shell to boot straight to Desktop, but I couldn’t find it. One strong point of Classic Shell is that it successfully rebinds your Start key, so that the Start menu pops up instead of the new Metro Start screen. Hitting the Start key from Metro pops up Classic Shell, too. Other Start menu replacements don’t usually cope quite so well. Take care while installing Classic Shell, though: It’s not just a Start menu replacement, and if you’re not careful you will end up installing Classic IE and Classic Explorer, too. Finally, a commercial offering that will set you back $5: Start8. 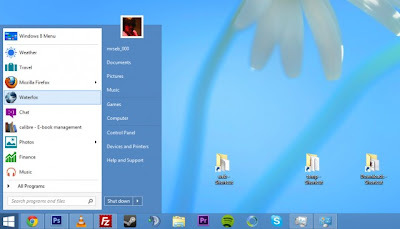 Start8 is very similar to Classic Shell, but it’s just a little bit smoother. Start8′s configuration interface is much easier to use (and easier on the eyes), and the actual Start menu feels much more like a contiguous part of Windows. Start8 has a curious option where you can actually have the Metro Start screen pop up as a menu, rather than full-screen (pictured at the top of the story). This is kinda neat, though you’re probably better off sticking to the normal Windows 7-style Start menu replacement. 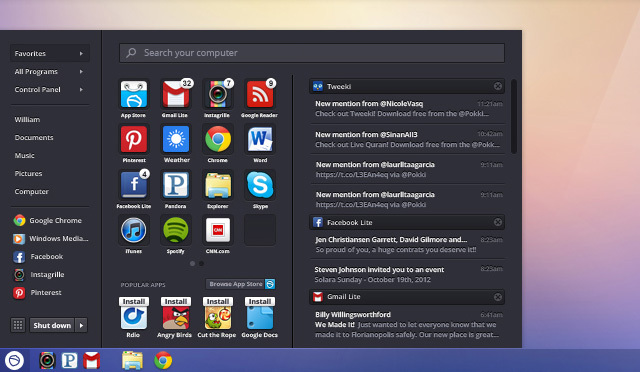 Like Pokki, Start8 can disable your hot corners and boot directly to Desktop. Start8 also has a bunch of configuration options for how the Start key interacts with Desktop and Metro, which can be useful if you’re looking for a very specific functionality.